The girls have been going to swimming for the past two weeks. Alhamdulillah, Big S is swimming so well without armbands. I actually doubted her swimming skills since we have not been at all for the past 6 months (since the birth of baby S, that is nearly half a year subhanAllah). And even before that we were not going regularly due to pregnancy and other issue. Hence I was actually very surprised when I saw her swimming. Especially the second week, she was swimming on her back, on her front, with her head under the water and she tried sideways. So, she was basically confident enough to try out different styles of swimming. Now middle S is a complete different story. First week we didn’t take armbands so she was constantly either clinging to me or to metal bar on the side of the pool. Second week, with armbands on, she did let the metal bar go a little and she was praising herself so much for that. This girl of mine does not like to challenge herself. SubhanAllah. Anyway, this post is supposed to be about myself and how I am connecting to the children. Since I have come back from Saudi, I keep thinking and rethinking about our set ways of doing things and my teaching and I feel there is something missing. I am often disappointed with myself. Generally speaking, I think one feels quite disappointed to return to this “dunya” where everything revolves around worldly things and you have just been to a holy a place at a time everything revolves around Godly things. Very strange feeling. So, I keep evaluating things at home and keep asking “What do I want to achieve out of this homeschool thing? What is it really I am striving for?” Yes I want them to be able to read and understand Qur’an. Yes I want them to learn the Arabic language proficiently. Yes I want them to excel in Math, English, Science and in all their academic subjects. Yes I want them to go to top universities and become a dentist, a doctor, an archaeologist and ocean explorer, a story writer and an illustrator. However, the bottom line is, I want them to be good MUSLIMS. 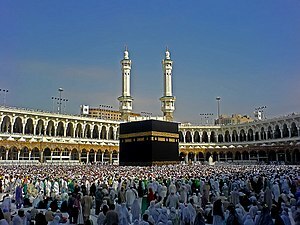 So, before anything else, I want them to have good spiritual connection with Allah the Almighty and submit completely to the will of God. I want them to have that complete tavakkul (faith) and certainty with Allah swt and live their lives according to Islam. I think we all agree that there is really only one effective way of moulding their character in this way from young age. There is only one thing we can do and that is SELF-DEVELOPMENT. If I really want to instil Islamic values in my children so they build up an Islamic character, the way forward is to start focusing more on myself. Because children will naturally observe, imitate, copy the adults of the household. And I strongly feel that my children are educating me in so many ways. They make me so conscious of what I say, how I speak, what’s my attitude and how I react. I know they are banking all these somewhere in their brain and will have exact same attitude to most things in life later on. That is so scary for me because I know I have a lot of character traits to improve. I am constantly praying that my children will turn up as someone much better than myself. Inshalla they won’t pick up those bad characteristics. Then at night time I lay in bed thinking “You are kidding yourself. The only way forward is to change those bad bits into good bits”. That is such a struggle, to constantly battle with your own self. May Allah guide and help us all. So I am disappointed every time I shout to discipline them. I want them to have the love of Allah, the love of the prophet saw and the love of deen. But, I am so quick to point out their mistakes and shortcomings. I am so quick to judge and preach them. I lecture them daily about how Muslims should do things in Islam. And I fear that I am doing “more correcting and less connecting”. I am not really connecting to them in a manner that brings the love of learning Islam, the love of seeking knowledge into their lives. Sometimes I hear a friend or a colleague saying “Oh I hated Maths at school” or “I remember hating this or that subject so much” and the worst thing to happen would be one of our children saying “Oh I hated doing Arabic” or “I hated reading Qur’an” or have very negative attitude towards seeking Shari’ah knowledge. English: A picture of people performing (circumambulating) the . This picture taken from the gate of Abdul Aziz seems to divide the Kaaba and the minarets into mirror images of one another. We have resumed the classes last Tuesday the 29th October 2013 after our 3 week long break due being away to perform Hajj (seperate post is due on this later inshaAllah). Alhamdulillah, the girls are doing surprisingly well. I had expected them to forget few things, to have meltdowns and emotional moments when we start the more structured classes at home. However, they are pretty much on the ball with every subject. We are doing Qur’an hifdh, Qur’an reading and Qur’an tafseer daily. I don’t plan anything for these. I ask them to recite 5 random surahs from Juzz Amma. Then Sumayya reads 1 surah daily from 29th Juzz. I ask Safiyya to read 1-2 short surahs from the back. Sumayya did have 1-2 meltdowns initially. But after I have told them my Hajj stories and how everyone makes so much effort to do more ibadah over there in Mecca, she was a bit more motivated. So, after hifdh and tajweed, I read them the meanings/translation of 1 surah from Juzz Amma daily using the Uzbek translation of meanings of the Qur’an. Sumayya really wants to read that Qur’an book which is in Cyrillic alphabet so she keeps asking me to teach her how to read Russian sooner so she can read the Uzbek translation of Qur’an we have at home. I intend to start teaching Russian again starting from next week. Ibrahim started memorizing the last 3 surahs, like officially lol. He has his own turn after I finish with the girls and we do some listen+repeat session with him. Then we do Math daily using MEP Year1 for Safiyya and MEP Year2 for Sumayya. Again,I am surprised how they have been able to pick up from where we left without any difficulty. Alhamdulillah, either Allah has made things really easy for them (and me) or sometimes having a long/relaxing break would help to reinstate their knowledge. Anyhow, this hajj break did all of us so much good, Alhamdulillah. Then we do English daily. I am trying to get Safiyya read more. We went to the library last week where I encouraged Safiyya to choose her own books so we can read it together at bedtime. She usually chooses her own books but this time I did point out that she would read them to me and I would help with the words she gets stuck. I don’t know how/why she doesn’t like reading even though she can read. I guess it is in her nature. She does tons of DIY jobs daily at home. She is more hands-on/practical person. Anyway, I am going to encourage her to read more. We have even started Evan-Moor Grade 1 Science book with her so she can practise her reading by reading the instructions inside, doing the experiments and writing reports (not necessarily story books). We have covered the first 4 lessons and she does not seem to appreciate it much. We will see how it goes inshaAllah. Sumayya is mashaAllah doing well in English. We do word definitions (I give her a list of words to write down the meanings), spelling, book-writing and use a dictionary. Last week I gave her the resources and asked her to write a book on how Allah created this world and everything in it. So, she what she made looked like an information booklet with 4 pages. There are some pictures on each page and she wrote her own sentences like “Allah created angels from light. Allah created jin from smoke of fire. Then Allah created Adam a.s. etc etc”. She makes grammatically correct sentences. I am planning to use sister Imaan’s topic-based lapbooking projects with Sumayya inshaAllah. We have managed to do 2 Arabic sessions. We have revised all the vocabulary with Safiyya on Body Parts, Colours, Shapes, Animals, Fruits+Vegetables. She can even read those words, alhamdulillah. We are on lesson 5 in Madina Arabic Reader Book 1 with Sumayya. Again, we have revised the vocabulary of lessons 1-4, practised reading with exercises inside and I do little tests on vocab and reading. We are not putting any emphasis on Arabic handwriting at the moment. Generally speaking, I am pleased with their progress the past 2 weeks. We still do all our learning between 10am-12pm in the mornings. They have got the whole afternoon to play and until 10am in the mornings. We leave for work at 4 pm where they have Tajweed, Arabic and Islamic Studies 4:30-6:30pm and Free/Fun Playtime with peers 6:30-7:30pm. They are tired by the time we come home usually around 7:45pm. So, we come home and have something to eat (something light as they have full meal just before we leave the house at 4pm). All three are usually in bed by 8:30pm. Sometimes I read them a bedtime story, sometimes I tell them one of my interesting Hajj stories off the top of my head, sometimes I leave the lights on for 10 minutes so they can read 1-2 of their own books borrowed from the library. They did get to play in the garden a lot the past 10 days even though the weather has been cold. And their dad took them to local playground twice. They love it outdoors, just like any other child I think. Sumayya wants to ride her bike but I am not sure when she will get the chance. We got them some warm winter boots today. I have got to think some other ways of keeping them occupied outside teaching hours. InshaAllah we are going to start to go to swimming on Saturday. And I will try to find one other extra curricular thing to do during the week, biithnillah. Alhamdulillah, we had our next Islamic Parenting class today attended by 16 mothers. It went really well mashaAllah where everyone shared their tips and experiences on how to help our children with memorizing the Qur’an. If you would like the handouts and the power point presentation from today’s session to be emailed to you please comment on this post with your email address inshaAllah. I will not stop in detail as I have posted previously here and here on hifdh. We talked a lot about parenting through positive reinforcement today. I had a handout which summarizes ten reminders to be read each morning by parents, especially mothers who are quite busy tending to the needs of a number of children. I don’t remember where I got them originally. But I have got it printed and stuck to my fridge and read from time to time, to remind myself on positive and effective parenting. So, here goes the list. I am raising my child to be a successful khalifah of Allah, who will help create a truly Islamic World. Today I will try my best to know and understand all the influences upon my child’s development. Today I will try my best to help my child understand the power of negative influences to take him/her away from Allah, and the power of positive influences to take him/her to Allah. Today I will try my best to shield my child from the power of the negative influences. Today I will try my best to enhance/increase the power of the positive influences on my child to take him/her to Allah. Today I will try my best to notice some positive things my child does or says, and tell him/her how much those things are appreciated by me and by Allah. Today I will try my best to say nothing negative to my child. Even if I have to correct my child’s wrong behaviour I will try my best to find some positive way to do so. Today I will love my child unconditionally, but I will try my best to express that love at times which are most beneficial to my child. Today I will try my best to be an example of a good and right human being/Muslim for my child. Today I will pray for Allah’s help that I can be a good parent for my child. How easy it sounds and how difficult to implement those things in our everyday life. For example, I really struggle to understand what motivates my 4.5 year old daughter to misbehave and I struggle to correct her wrongdoing in positive way. How about you? Do you find you often discipline your child through negative reinforcement like commenting on their misbehaviour or wrongdoing? Do you resort to force or use physical punishment? Do we as parents put emphasis on achievement and show appreciation of their well behaviour often enough? When we keep commenting on their misbehaviour what becomes of their self-value? Do you worry that “naughty” or “troublemaker” or “loser” might become their self-perception? So, your child can read. She is reading books. I suppose after children start reading and have developed the joy of reading, the most important task for parents is to provide them with good books. Books that help them to broaden their horizons; Books that help them to understand the world; Books that help them to differentiate between what is good and what is bad; Books that help them to shape a morally responsible character; Books that promote virtue and discourage vice. Alhamdulillah, there are many Islamic story books out there than ever before. I would not say we get lots of choice or we always get the quality we want. 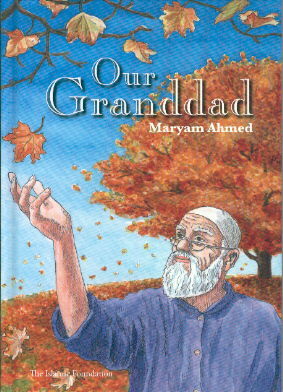 Nevertheless, the market is developing and with each year behind, we can see more and more Islamic story books aimed at Muslim children of all ages. Here is my long awaited book review for some of the books we have purchased awhile ago. Alhamdulillah, children have learned so much through these books. 2. Room 101 and Other Stories– I was very much impressed with this book. It is definitely a MUST have book for each Muslim household. 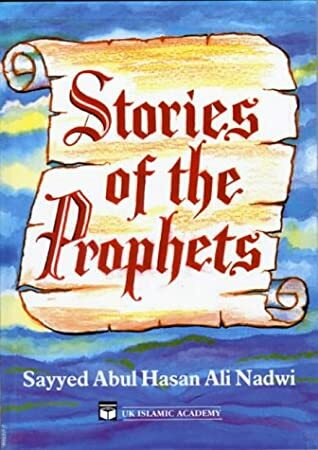 Stories were originally written in Arabic by Dr. Ahmad Bassam Saeh, later translated into English by Dr. Imran Alawiye. There are twelve stories altogether, written both in Arabic and English (half a page in English, half a page in Arabic). 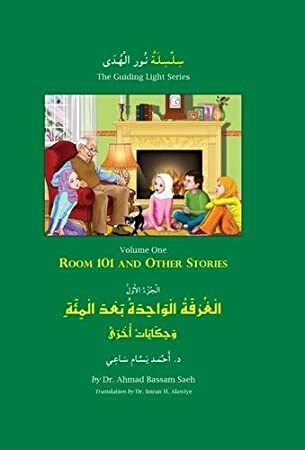 A great tool for those children who need to practise their Arabic reading and vocab through stories. The book is made using great quality paper, hardcover and contains beautiful illustrations. Each story is so relevant and appealing to today’s society. Children are encouraged to draw their own conclusions through characters’ behaviour and actions. They learn through each story that whenever a bad/evil is committed there will be a consequence to meet; Whenever good is done there will be a reward to reap; The head of all good deeds is the obedience to Allah swt. Big S (who will be 6 next week inshaAllah) loves this book and reads it every night. Little S (4 year old now) loves to be read as this is too difficult for her to read by herself. 5. The story of Muhammad saw in Madina– simple and concise introduction to seerah for slightly older children, I would say 6+. Our 6 year old really enjoyed reading it all by herself. Great book to be read to children 4+. Excellent quality paper and excellent illustrations. Stories contain informative explanations and vivid descriptions. 6. These are set of story books published by The Islamic Foundation. We have had them for awhile now. I would say big S grew out of them but they are perfect catch for small S, so ideal for children between 4-6. Hilmy the Hippo series, 5 books with excellent content and illustrations in this set titled: Hilmy the Hippo learns to Share; Hilmy the Hippo learns to be Grateful, Hilmy the Hippo learns about Death; Hilmy the Hippo learns about Vanity, Hilmy the Hippo learns not to Lie. I Can series, 4 board books with awesome illustrations in this set: I Can Read Qur’an Anywhere, I Can Wear Hijab Anywhere, I Can Make Dua Anywhere, I Can Say Bismillah Anywhere. Cindrella- an Islamic Tale- Finally, the set of books about “Know How’s” by Writeway Publications for younger children. These are not story books but lists a number of things about How To Be a Good Muslim on various topics with beautiful illustrations on each page. There are 4 books in this set titled How To Eat and Drink; How To Be A Good Child; and How To Be Safe; How To Keep Clean. These have been little S’s favourite books recently and little I loves them too. Alhamdulillah, we have been so far very pleased with our purchase of Islamic books for children. I have to admit that they are a bit expensive sometimes. 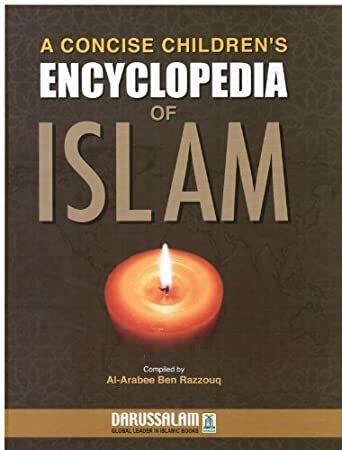 But, we can not purchase them in charity shops, most libraries in the UK do not provide great variety of Islamic story books for Muslim children and these books are definitely not available in car boot sales. So, we have no choice but to buy them sometimes. InshaAllah, it is a good investment in shaping our children’s character. I can see this especially in big S since she reads these books all the time and then questions me on certain aspects of our life in order to understand more; or certain actions of book characters to make out the conclusion. We have had really cold weather over the past couple of weeks. Children started playing out in the garden daily for a couple of hours in mid February. But the weather has been so down again after the 8th of March, on which date we had our big uzbek sumalak party in Manchester. It was so boiling hot on that Saturday the 8th of March 2013. We were thinking of doing the BBQ out in the garden the following weekend. But, subhanAllah, it has been snowing on and off since that date. The temperature is usually below zero outside. We have not been able to finish off our planting project in the garden. Today, after 2 days of non-stop snowing it was about knee high. My husband took kids to local library yesterday. They got stuck in snow and had to be rescued (by me). May Allah keep everyone safe amin. Homeschooling is very much continuing, alhamdulillah. We do English 2-3 times a week. We do Charlotte Mason style dictation for her spelling once a week. Alhamdulillah, her spelling is excellent. I still need to teach her a lot of punctuation marks though. We try to get her talk about the books she reads. However, she is less and less willing to narrate the story. She just tells us what the story is about in 1-2 sentences. I noticed when she reads books in English and asked to narrate in Uzbek, her brain finds it difficult to do language-switch. It is at this point she gets frustrated because she does not know much of vocabulary in Uzbek in order for her to tell the story fluently. She mixes up a lot of English words to narrate the story. So, I have started to focus on her narrative skills in the English language only. And we usually do written narration as she prefers it to write down rather than to do it orally. Alhamdulillah, she loves writing. I printed out a set of reading comprehension cards. Each card states a question such as Who is the main character? What is the main character like? Which season does the story take place? Are there any sad/funny parts? Which part is your favourite? Would you recommend it to a friend and why? So, she chooses a book to read to me. We discuss the book a little. Then I hold one card at a time. She reads the question and writes the answer down. It helps with grammar/spelling/reading comprehension as she is trying to make her own full sentences, learning to use the correct tense and summarizing the story in the right order etc. Finally, she is practising cursive writing with a workbook. She is not too keen at the moment but she does try. Generally speaking, I am very pleased with what the programme offers and inshaAllah intend to continue with it. I do not want to start MEP Year 2 as I thought it could be too challenging for her current level. Like I said, we have resumed our maths classes after a long break and want to revise MEP Year 1 thoroughly inshaAllah. Science. She is currently on another KS2 Science workbook learning about shadows, reflection and light. I will update in more detail when she finishes her book inshaAllah. Qur’an hifdh. Alhamdulillah, we have been able to do a lot of muraajah the past 2 weeks. Every day I ask her to recite 4-5 surah off by heart which she does. Then she chooses 1-2 surah to read from Quran for her tajweed. Alhamdulillah, it is going well so far. I pray Allah makes it regular as we seem to be going through the phase where we do Quran regularly and progress a lot. Then once we drop it we just go into looong break after which we struggle to restart our Quran/Tajweed lessons. Arabic. She is still continuing with her Madinah Arabic Book 1 and Gateway to Arabic Book 2. She is memorizing lots of vocab, practise handwriting and her Arabic reading improved a lot, mashaAllah. Anyway, it is late now and I shall be off to bed. Do let me know of my spelling/grammar mistakes as at this point I can not be asked to proofread or edit. Praying for a positive attitude for all parents out there and finish off with this inshaAllah. How to instill the love of Allah…. We have first started discussing this question in pairs. Alhamdulillah, most of our moms gave the same response as the counselors on the website and suggested what steps should be taken to prevent this from happening. But, ultimately, everything happens according to the will of Allah swt, and this could be a means of test for those parents. May Allah keep all our children on the straight path always, amin. So, how to instill the love of Allah? First, as with everything else, by example. The love of Allah is one of the basic requirements of being a Muslim. As parents, we must instil a healthy dose of Love and Fear of Allah in our children. In order to do that, we must first have that dose of Love and Fear in ourselves so children can observe and imitate us. Once we say we love Allah, then we have to back the statement up with our actions. What do we have to do to love Allah? Again, Allah gave the answer in the Qur’an “Say, (Oh Muhammad saw to the mankind) If you really love Allah then follow me. Allah will love you and forgive you of your sins. And Allah is Oft-Forgiving, Most Merciful” (Surah Al-Imran: 31). So, the first thing we have to do in order to instill the love of Allah in our children is to accept Islamic Tawheed with our heart, and follow the Qur’an and the Sunnah in our everyday life with our actions. Children will learn most things by example and imitation. If we look at child development in age-range, from birth-6 years old, most children absorb what they see and hear. Copying and imitation is their way of learning. So, we have to give them great things to imitate by setting the example ourselves. With children of this age group, we have to emphasize the understanding of Aqeeda, Tawheed, one’s purpose of life and memorize as much Qur’an as possible by active listening. In addition we have to start explaining the reason behind our actions. For example, “I want to pray on time because this is what makes Allah happy”, “Let us say Ghufranak now because the prophet saw always said this when leaving bathroom. We have to follow the prophet saw if we want to go to Jannah” etc. As we do not believe in the notion of “Teenagers/Adolescents”, we have to start giving our children responsibilities around the household and start treating them with respect and maturity they deserve. Our aim is to raise morally responsible and integrated individuals who can truly understand that one’s purpose in life is to seek the pleasure of Allah swt for the attainment of Jannah in the HereAfter. Our children have to fully understand that upon hitting puberty they become Young Adults rather thanTeenagers. According to statistics, most girls will begin puberty at 8-14 years of age, with the average age being 11. And most boys start reaching puberty at 10-15. In today’s society, in the case of both genders most would have definitely reached puberty by 15 years of age. So, 8-14 years of age is crucial point in our children’s lives and in our parenting style. We have to do lots of talking and ‘connecting’, doing things together in and out of household, let them explore and understand the world with our guidance. We have to stop treating them like a child, but rather start consulting with their opinions when deciding on important household/financial/other matters. Today, a lot of girls and boys of that age group want to be ‘independent’ and yet depend on their parents in so many ways. I have seen girls as old as 15-16 years old (from a very respectable Muslim families) who can not even make a cup of tea for themselves. Mother still does all their laundry and ironing not to mention cooking and cleaning for the whole family. All because the girls are studying and have exams. I do not mind them being excused on the day of exams, and few days before to get ready for it. But, asking the mother to do absolutely everything and anything for them is not accepted in my terms. Several occasions I have asked the girls Why? questions and was answered that they do not know how to use the washing machine, the iron, the microwave etc. On the other hand, Alhamdulillah, I have also come to know families in which girls as young as 12 has been given the task of cooking for the family once a week and boys as young as 8 being responsible for household tidiness on certain days of the week. MashAllah, these ‘teenagers’ have so much more to do than just studying and on such friendly terms with their parents due to participating in full family life. In conclusion, we should not be scared of giving our children responsibilities between the ages of 8-14. We expect them to conduct themselves like an adult and start feeling accountability for their actions as soon as they reach puberty. In order to achieve this, we have to respect them, treat with maturity and give them tasks and responsibilities regarding all aspects of our family life/their own life. Alhamdulillah, we have launched a much needed project on Islamic Parenting at Raising Explorers. From the start, it has been our aim to work closely with parents. My experiences of teaching has convinced me long ago that educating children would be much more effective if parents understood some basic principles about training a child and how to engage them in learning. Our first Islamic Parenting Course took place on 21 December 2012. 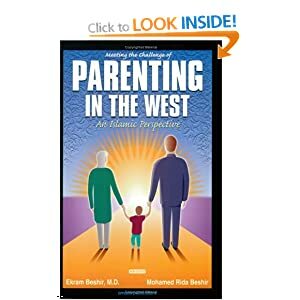 It was titled “Meeting the challenges of parenting in the West, an Islamic Perspective”. Much of what was delivered through an interactive presentation was taken from the book which has the same title. Parenting, in general terms, refers to caring for a child, helping him/her to be spiritually and mentally healthy at different stages of child development and help him/her reach their full potential as an individual in life. From an Islamic perspective, however, the first notion of parenting that sets the difference is that WE DO NOT OWN OUR CHILDREN. Our children are entrusted to us by Allah swt and we will be responsible for their well-being until they reach maturity. Allah swt said in the Qur’an “Verily we shall give life to dead and We record that which they send before and that which they leave behind, and of all things have We taken into clear account” (Yasin 36:12). Most commentators derive from the phrase “what they leave behind” is one’s offspring/how they are brought up and other continuous charity. They cite the following 2 hadiths in the tafsir. First, the Prophet stated the two ways of pioneering which will continue to influence and affect others separately: “Whoever pioneers a good practice is given thawab both for that work and for people who will take it as an example for themselves till the end of time. And whoever pioneers an evil practice is given the sin of both for that work and for people who will take it as an example for themselves till the end of time.” Second, “After one dies, his book of deeds is closed. Yet, rewards for these three things continues: freeing a slave, a useful knowledge that is permanent and a good son/daughter who prays for the good of the dead person.” (Muslim). So, based on these and several other hadith, Children are our sadaqah jaariya- continuous charity. They are the blessing from Allah swt and could be the means for us entering Jannah if we nurture their soul in the right way. Children have been created by Allah swt with an individual soul and pure fitrah (nature) to worship Allah alone. First and foremost, parents have to help them understand the purpose of one’s life through the worship of their Creator. Children have 3 rights over their parents. In other words, Islamically all parents are responsible for providing the following three for their children: good name upon birth, good tarbiyyah and get married when they become man/woman of age (Muslim). Very often we give our children good names and majority of Muslim parents do help their children to get married. But we often struggle what comes between these two: giving them the right tarbiyyah. Unfortunately I can not stop in detail about each point here but each is derived from the Qur’an and the Sunnah. Those who have attended the course had the privilege of finding out that precious information, discussing each point in detail and enjoyed the company of sisterhood and motherhood (hint-hint, try to come to the next session). Alhamdulillah, we had really good feedback from all mothers who have attended. I will soon be typing up the contents of our 2nd Islamic Parenting Circle inshaAllah but off to a class now.